Three Warriors players get national call-up - SABC News - Breaking news, special reports, world, business, sport coverage of all South African current events. Africa's news leader. The 20-year-old Sinethemba Qeshile has had an outstanding rookie season and is one of the top scorers in the One-Day Momentum Cup. The Warriors coaching staff say the young players in the squad are responding well to the new coaching techniques being used by the Port Elizabeth-based cricket franchise. 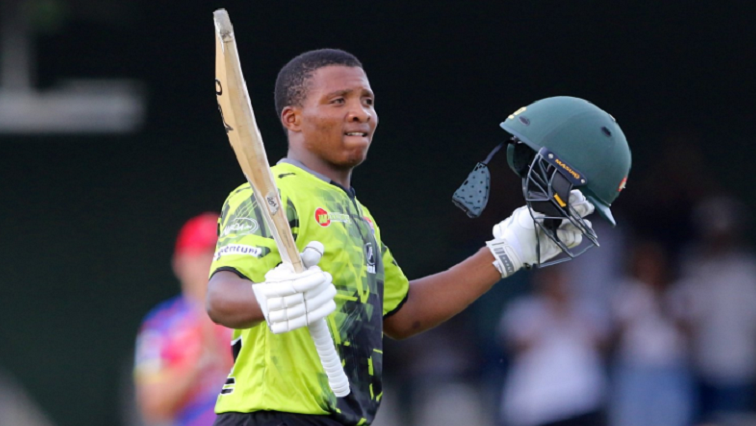 Three youngsters, wicket keeper batsman Sinethemba Qeshile and two bowlers, Lutho Sipamla and Anrich Nortje, will be part of the national team for the T20 International series against Sri Lanka which starts at Newlands in Cape Town Tuesday evening. Qeshile’s hard work has finally paid off. The 20 year-old has had an outstanding rookie season and is one of the top scorers in the One-Day Momentum Cup. His reward – a national call-up. With a number of wickets to their names, Sipamla and Nortje, have also forced selectors to take notice. Qeshile says that he is happy as his hard work is paying off. Sipamla says that he is happy to get another opportunity to represent the country. Warriors Head Coach Rivash Gobin believes the future is bright for the Warriors. The Warriors take on the Dolphins in a Momentum One-Day Cup match at St Georges Park on Wednesday. This entry was posted on 19 Mar 2019,01:52PM at 1:52 PM and is filed under Sport. You can follow any responses to this entry through the RSS 2.0 feed. Both comments and pings are currently closed.